What is the Satellaview service? 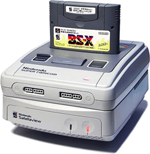 The Broadcast Satellaview-X satellite modem system allowed subscribers to the service to receive digital magazines and games during the "Super Famicom Hour", run by the satellite radio company St. Giga. The games could be saved to a Memory Pak, and often featured competitions for best scores or clear times, with the data being sent back to Nintendo. Due to the nature of the service, it's impossible to play these games today in the way they were originally played. "Soundlink" broadcasts would often include announcements and voice actors, and the "online" aspects of the games are all but lost. This means information on these titles can be difficult to come by. This is a chronological list of known first party games published by Nintendo for the Satellaview service in Japan. This list may be incomplete.